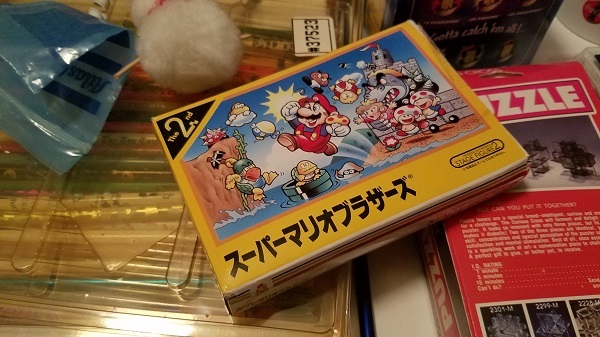 See that yellow Mario box? 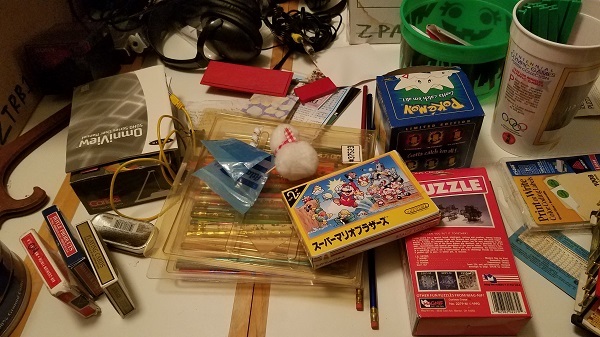 Every piece of that Mario magnet set scattered into clutter. 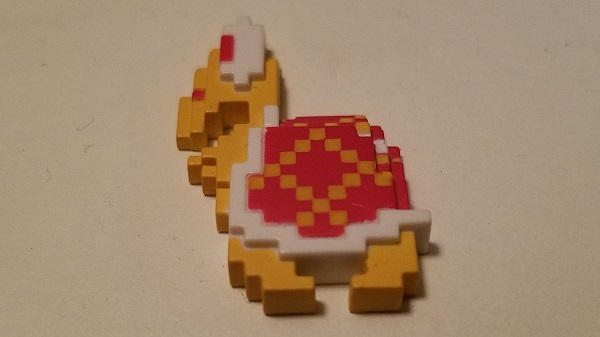 As I found pieces, then the box, all that was left was the Koopa Troopa. I’d thought, as I put the box near my magnet collection, about how there’d be no way I could find that little guy in a clutter so massive. Was it already packed up? What if, despite my careful consideration, it landed in the trash or recycling? Looming senses of self-loathing seeped in. That’s the sort of psychological anxiety that’s been weighing me down more than the decluttering. I’m surprisingly OK with throwing out or recycling things that even three months I saw fit to keep. It’s like a switch flipped in my brain. Now I can call trash by its real name. It’s a petty example of the Art of War: learning about your enemy and yourself will better enable your victory. The process is becoming simpler. Clear off a table completely. This is your empty workspace. Do not leave anything on the table overnight or for hours at a time. If you can, fold it up, put it away, and only use it for sorting. It should be sturdy enough to hold a box load of clutter or a drawer that needs addressing. Dump everything onto the table. It starts slow, then quickly escalates, so don’t mind that to begin you’re keeping everything. Maybe all you’re doing is compacting space, by grouping like-items together, and throwing out the junk mail and old receipts you’d kept for who knows why? Then you might see something that you kept for some memory that’s turned negative. Doesn’t it feel too good to trash something like that? Then there’s stuff like that Koopa Troopa; validation for all the work I’ve put into preliminary sorting. There are times where, even now, I want nothing more than to just pack everything into boxes and deal with it after the move/never. The overwhelming fits of anger will consume me. I don’t want to deal with all of this moving anymore. Just trash everything that isn’t vitally important! It’s anguishing. I’m exhausted! I’m sick! I hate all this! Then a little Koopa Troopa says hello. The set is complete! I rejoiced in a feeling of elation. I’m still materialistic. It’s just now, the trash goes in the trash. Quotes: The introductory sentences were originally something I wrote, but I nuked it while editing the essay, mainly for clarity. Inspirations: Capturing that elation as well as the overall brutality of decluttering. Photos: The cluttered mess is my sorting table. They do this in thrift stores and it’s something I’m learning to do. Ideally, I’d clear off the table daily, but then the unsorted clutter will just go into the same boxes as before as I get distracted with other stuff to sort through, so I’m almost brute forcing myself to address the mess that’s in front of me on the table. The problem is I get too distracted and won’t actually address it, which is why putting things in boxes might be the way to go, or at least had been, so maybe this is part of the mental discipline of decluttering? I’ll report my findings as I find them… in the clutter. Written On: December 20th [24 minutes] – Written in two bursts on my phone.